This year my dad made an early request for a Christmas gift. I explained that he'd like to have a vest with deep pockets that he could wear when picking apples. I've mentioned before that my parents have a small apple orchard on their property, and having such a vest would definitely speed up the apple picking process. I made the vest out of a gray denim that I picked up at Joann's. I used a double fold extra wide bias tape to finish off most of the raw edges. I made it so that the vest was sewn together on one side, and snapped together on the other. If I were to make another vest like this, I'd probably have it snap on both sides. Obviously I wasn't in the mood to iron out the vest for the photo shoot. The pockets were designed so that they'd remain open. To create them I added extra material width to the pocket. I created a pleat at the base of the pocket to account for the added material. I then applied boning to the top of the pocket which made it free standing (or opening). I figured that the boning would make for easier apple picking. I added some reinforcement stitching in the upper corners of the pocket. 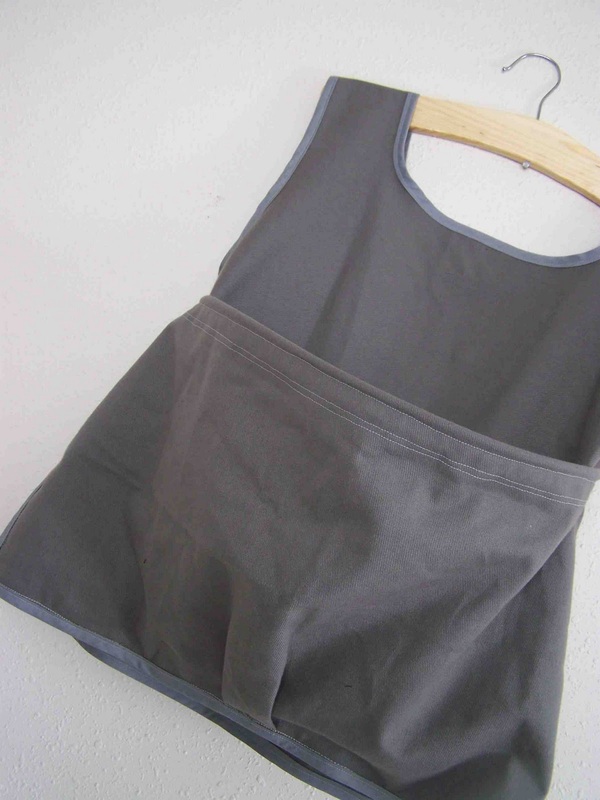 Without the reinforcement stitching, the pockets would sag down and empty their contents. The stitching helps the pockets stay in place, and support their load. There is a pocket on either side of the vest. With the one side sewn shut, I am guessing that it is going to be rather difficult to flip the vest around when one side is full. However, if my parents are picking apples together, my mom can just load her's into the back side of the vest. 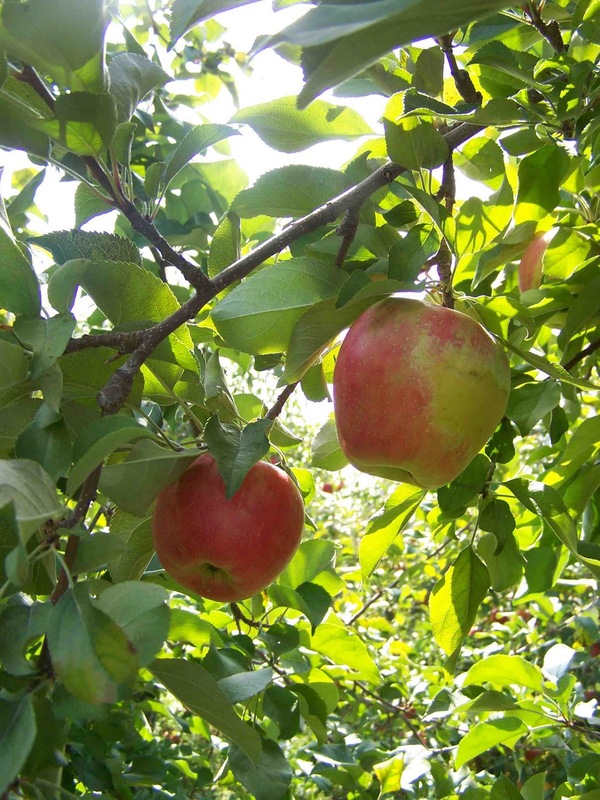 Hopefully it will prove helpful next apple harvest. Tips, Tricks, and Techniques is a little segment that I plan on starting. It may happen on a weekly basis, or maybe randomly according to my posts. It is a segment that I am starting in an effort to become a better sewist. I feel like I'm learning everyday. Most of my learning comes through trial and error. Whenever I start a project that involves techniques that I haven't before attempted, I provide myself the opportunity to learn a bit more. I would love to share the little bits of sewing knowledge with you. . My plan is to occasionally post tutorials on sewing techniques. I'd love to know if there is a specific technique that you'd like me to post on. I'm open to suggestions. Some examples of techniques that I am referring to would be: sewing darts, creating pleats, sewing French seams, creating a blind hem, applying facings to a garment, ect. Please let me know if there's a sewing technique that you'd like to explore together. That being said, with this apple picking vest I worked with boning for the first time. Boning is a wonderful thing. It is often used in creating corsets, and fitted gowns. It can be used to provide stability to everyday garments as well. 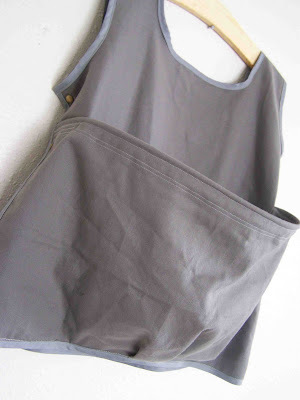 I've also seen it used on nursing aprons, which allows for the apron to stay open so that you can sneak a peak at your nursing babe. 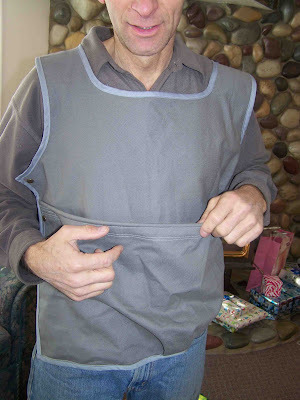 I found a great video tutorial online that helped me apply the boning to the vest. I thought that today I'd share that with you, rather than creating a tutorial of my own. Another great reference point is this article from Threads Magazine. Using boning was genius! I have a nursing cover with boning in the top, and I actually really didn't like it. Made me feel exposed and awkward! I know most moms love it, but I wasn't one of them. What a great idea! 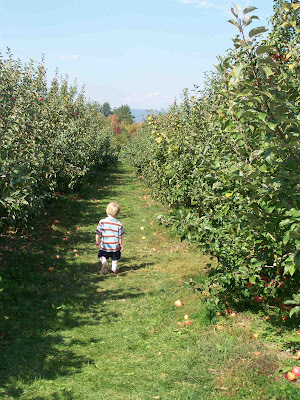 I'd love to pick some apples right now. I really could use one of these, so it may just be my next project! What a fabulous gift! So very thoughtful! Thanks for linking up to Making It With Allie! I can't wait to see what you have for next week!